Introducing A Revolutionary Do-It-Yourself Guide To A Successful Digital Markiting Campaign – And How YOU Can Take Advantage Of It Before Anyone Else! 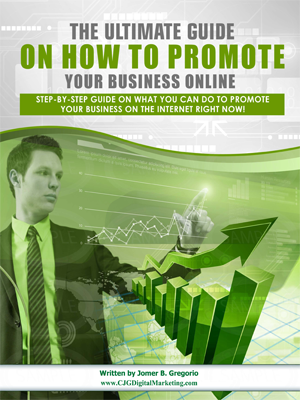 Discover a simple step-by-step guide on what you can do to promote your business on the internet starting right now! In this FREE e-book you will learn the basics as well as advance aspects of Digital Marketing,these are…. Basic Search Engine Optimization (SEO) guide. Promoting your site using FREE methods. The importance of domain name and how/where to buy them. 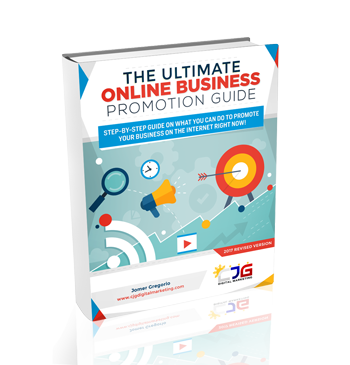 To Receive the Free E-book The Ultimate Guide on How to Promote Your Business Online.